Good news for Toyota Enthusiasts! 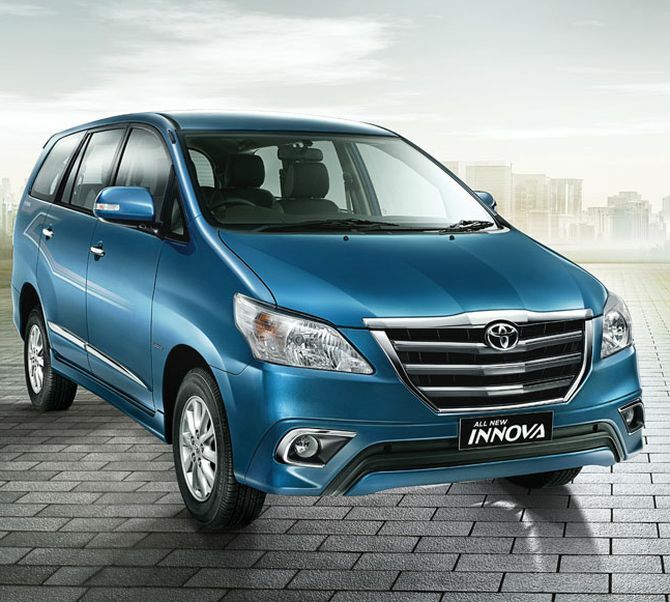 Toyota Innova is not going to be discontinued as rumoured everywhere, instead the company is renaming the Innova as Innova Cross. The Innova Cross will be displayed in 2016 Auto Car Show as well. The upcoming Toyota Innova Cross would be powered by 2.5 litre diesel engine that churns out a maximum power of 100bhp and is mated to a 5-speed manual transmission gearbox. Both the suspension and powertrain of the SUV would remain unchanged (In fact, even the mechanicals will remain the same). Talking about the body design of Innova Cross, the car would be getting a side moulding and is also likely to be made of a different color (matte black or grey) in order to make it look more rugged. Toyota Innova Cross would be basically be a kitted version of Toyota Innova and the interiors will get much darker upholstery. Toyota Innova has been a premium MPV (Multi Purpose Vehicle). The introduction of Toyota Innova Cross would provide the car more trendier outlook than being just premium. There are no significant changes in the Innova Cross offering compared to native Innova. Some of the common features include touchscreen infotainment system which comes with Bluetooth and reverse parking camera. When it comes to pricing, the car would be priced similar to Innova and you could expect rough gap of 10,000 INR. New Toyota Innova would be targeting premium car buyers and Toyota would be pushing the Innova Cross for commercial use than the new-gen Innova. If you are great Toyota or Innova fan, you could catch the first glimpse of Toyota Innova Cross at 2016 Auto Car Show.